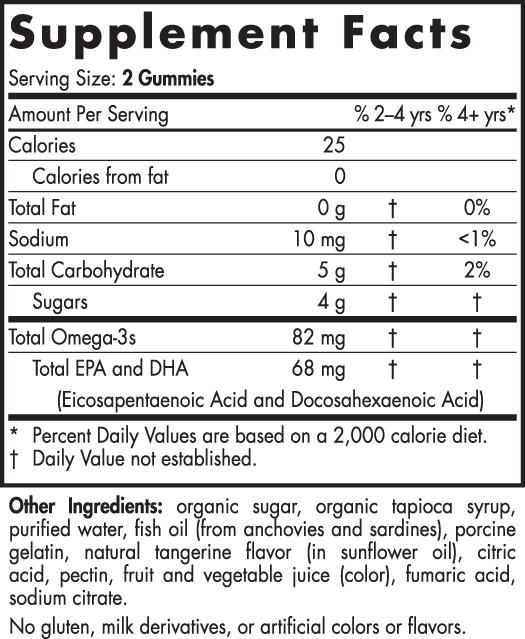 Suggested Use: For 2 years and older, two gummies daily with food, or as directed by your health care professional or pharmacist. Please ensure child chews each gummy thoroughly. Keep out of reach of children. Storage: Store in cool, dry place. DO NOT refrigerate or keep near high heat. Tangerine treats with purified fish oil.